A quick spruce up inside this morning and a batch of sausage rolls ready to go in the oven and we were ready for visitors. Matt and Sian are old friends from my Hull Truck days. Sian is the wardrobe supervisor there and Matt is an actor who was in quite a few shows I designed. 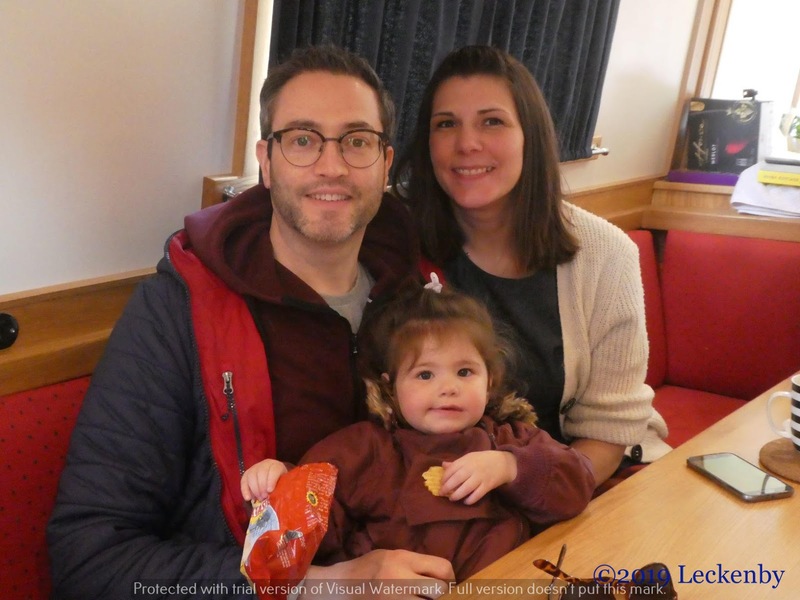 We haven’t seen them for a couple of years and we haven’t met Lottie before, she’s just turned two and was a large bump when we last saw Sian. We had timed our get together well as Matt is currently on tour in War Horse, but this week is a holiday week. The only shame was that Joshua their five year old son was at school today, but apparently he’s quite a chatter box and we’d not have got a word in edge ways! Lottie was quite taken with Tilly and her white whiskers. Tilly allowed me to bring her through so that they could meet and later on with Lottie being very quiet, Tilly came to sit in a patch of sun on the sofa. She even rolled over to show off her white bits, Lottie was okay. 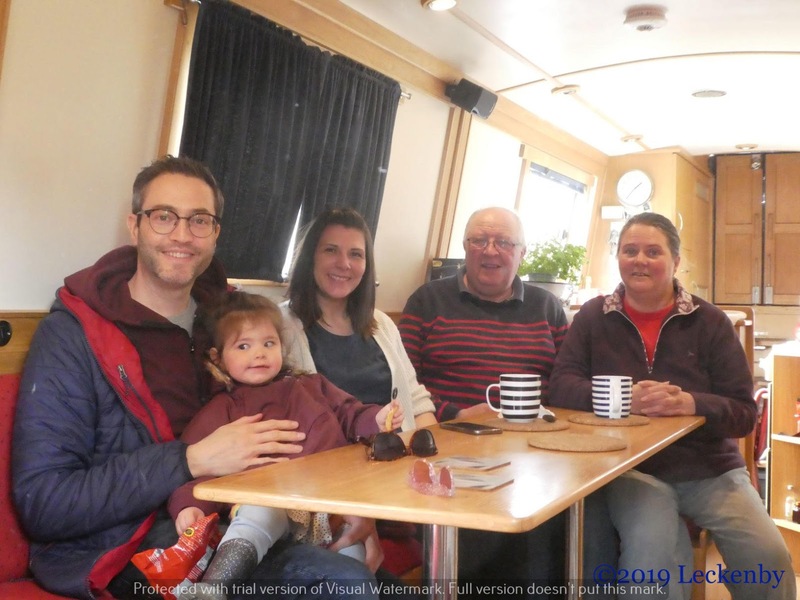 There was plenty to catch up on, so much tea was drunk and my gluten free sausage rolls went down very well, a treat Sian doesn’t normally get chance too have. After a couple of hours they headed home, it was lovely to see them. Hopefully we’ll catch up with Matt in Oxford later in the year. With it still being quite early we decided to make a move. After emptying the yellow water tank we pushed off and winded. 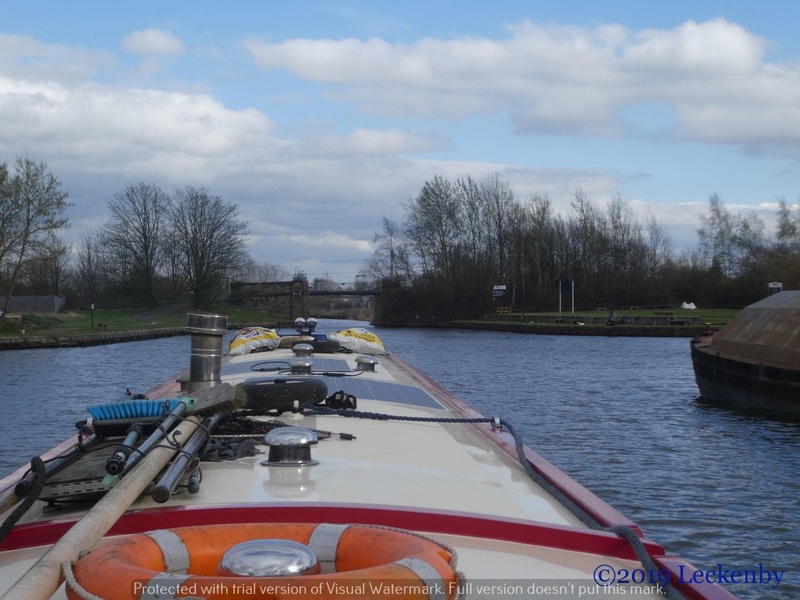 At Bank Dole Junction we turned left onto the North Yorkshire Navigation. 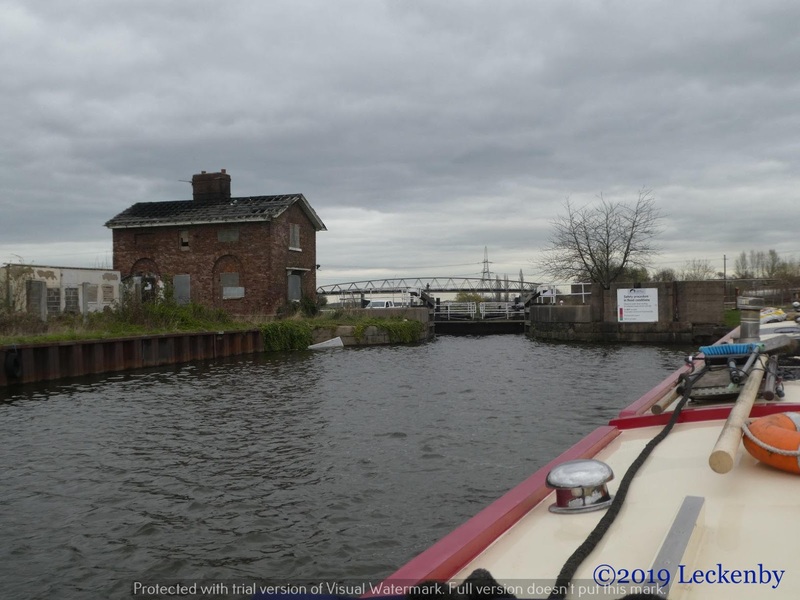 A short distance on is Bank Dole Lock, I hopped off to set the lock and check the river board whilst Mick and Oleanna tried to tread water in the wind. 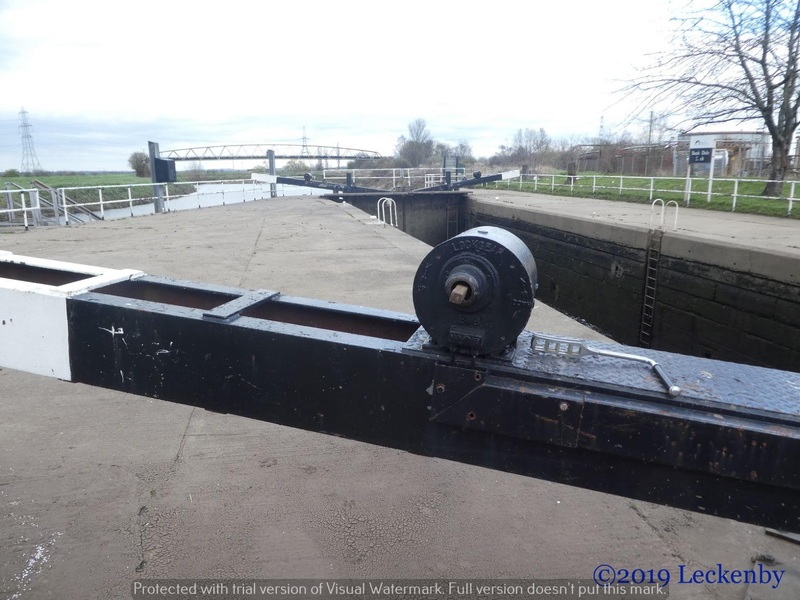 The lock landing has quite an overhang which might just catch our boiler flue on the cabin side, so great care was needed. 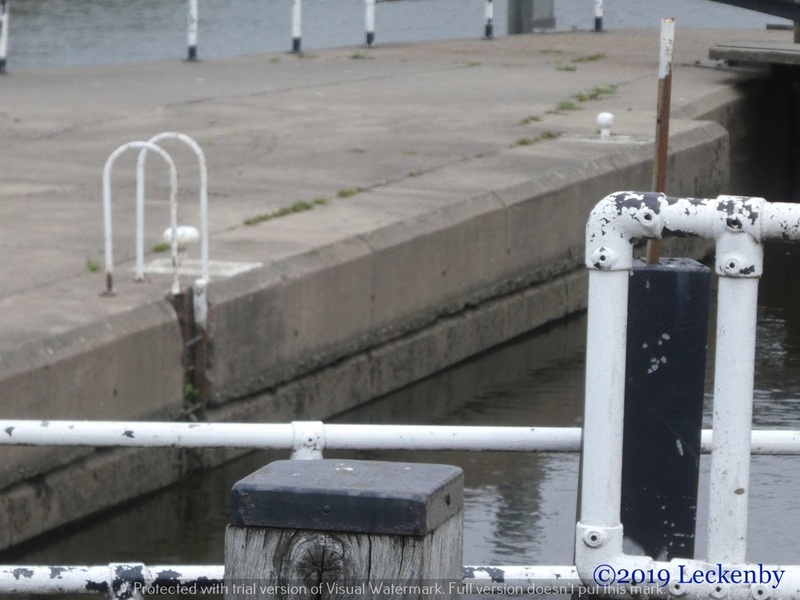 I lifted one paddle then walked to the bottom gates to check on the level, green! Marvelous. The first paddle didn’t seem to be doing much but the other one did. The bottom gates were leaking, but nothing out of the ordinary, it would just take a while to fill. Well that was our first thought! Mick hovered. It’s a slow lock anyway, but this was taking forever. I checked the bottom gate paddles, they were down. The water level rose and then slowed right down. After twenty minutes Mick had managed to tie up and came to look himself. All paddles were checked. A look below the bottom gates suggested that water was bubbling up from under it, maybe something was on the cill stopping the gates from closing properly. Maybe if we drained the lock and closed the gates again the seal might improve. 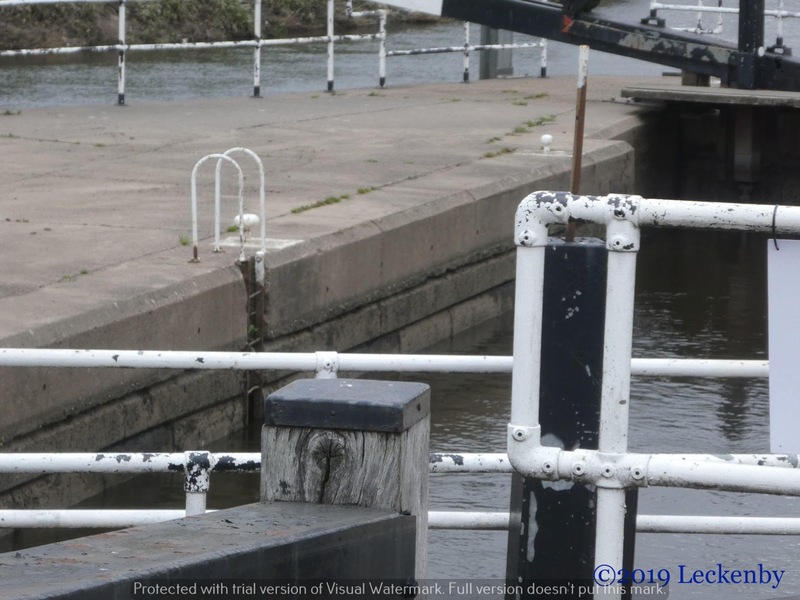 A few minutes later the lock was empty, we opened the bottom gates, Mick closed his whilst I held mine open as long as I could as he lifted the only working paddle on the top gates. Sometimes gates seal better if closed in a different order, but as the lock refilled it was obvious this hadn’t made any difference at all. Would the lock ever fill?! A call to C&RT was needed. The Leeds office said they would contact the local team and call us back. After ten minutes we were informed that Tom was on his way, he’d be about 20 minutes. So we sat and waited, all the time the lock slowly filling. 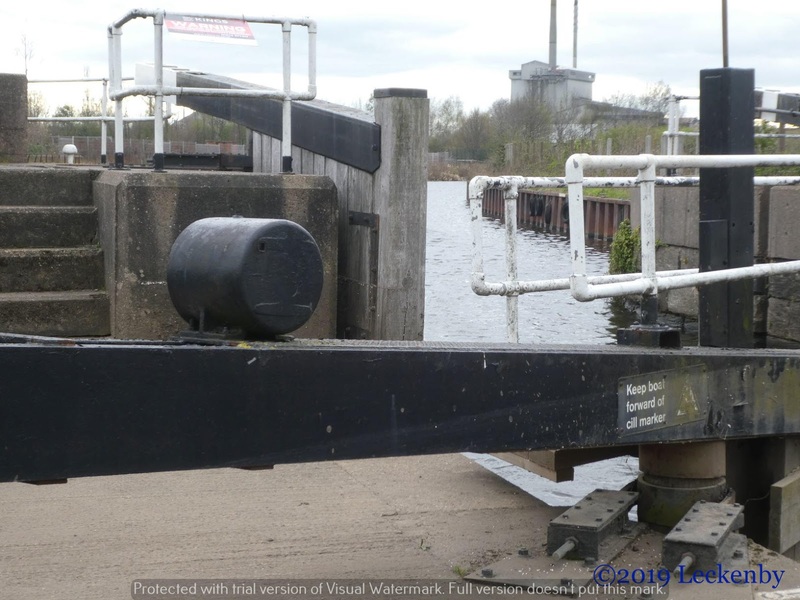 When it got to about a foot short of being full the amount of water entering the lock was the same as that exiting. No way was it ever going to fill. Tom and his mate arrived. 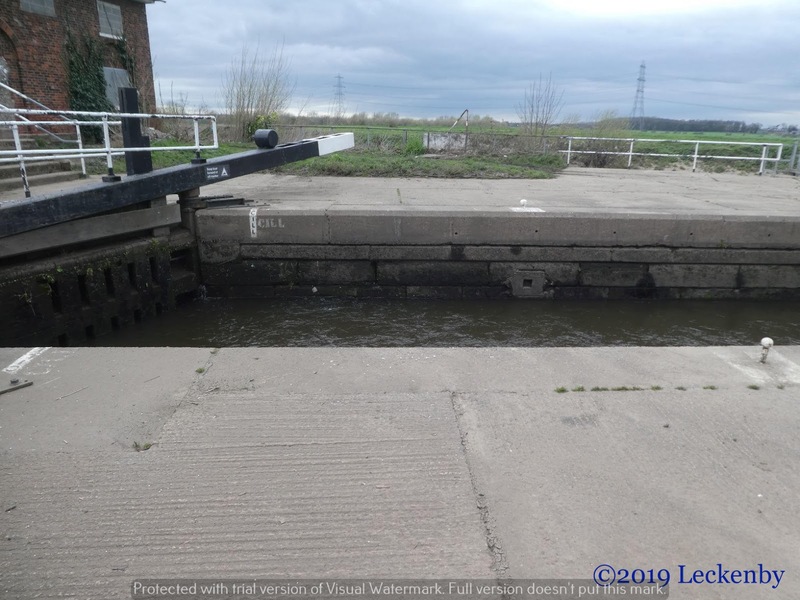 Last week when the levels had dropped on the river they had to dig out a large amount of silt for the lock to be operational. The gates had worked fine then. ‘It’s a slow filler’ we were told. But when we said we’d been trying to fill it for at least half an hour they conceded that that was too long. The only thing to do was to empty it and have another dig around on the cill to try to get the seal better. This could take a while to do, did we want to wait to see if they could get it to fill? Bank Dole is not a place you want to be overnight. The lock cottage with it’s burnt roof attracts characters you’d rather not meet. 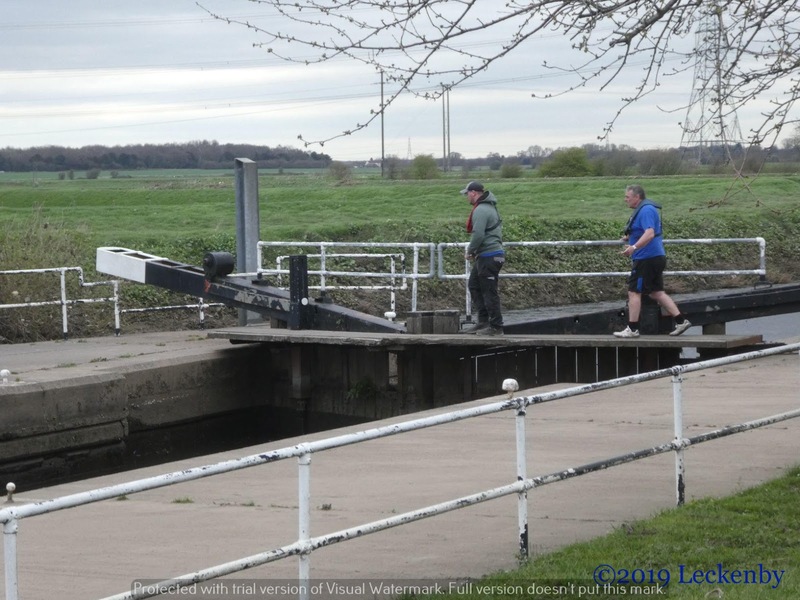 So we decided to return to where we’d come from, Tom would call by in the morning to let us know how things were at the lock. By now the wind had picked up. 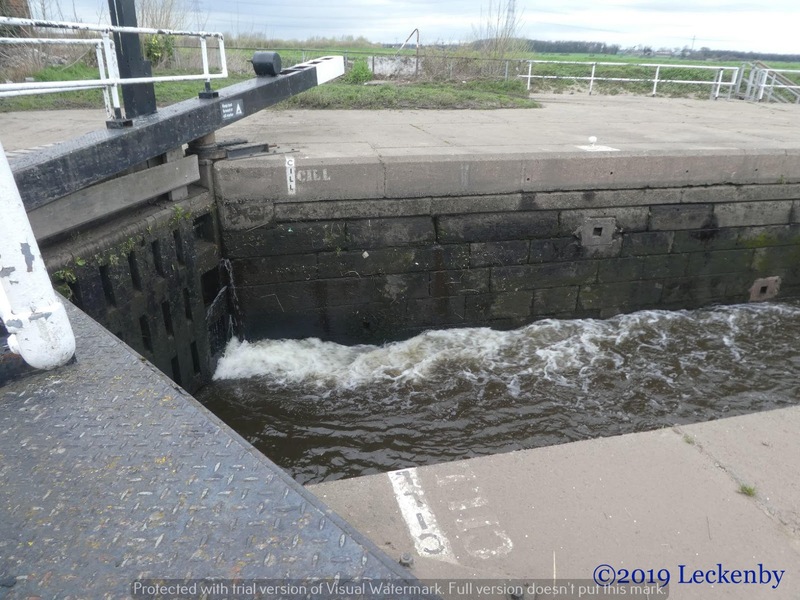 We might have been able to wind by the lock, but there was danger of us getting pinned across the flood gates above the lock. 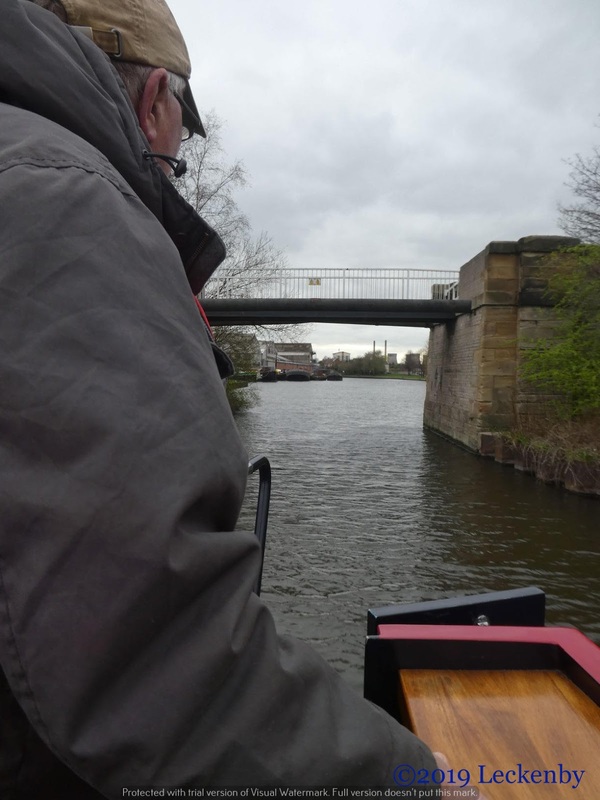 So Mick decided to reverse back to the junction, thanking me for letting him have bow thrusters. 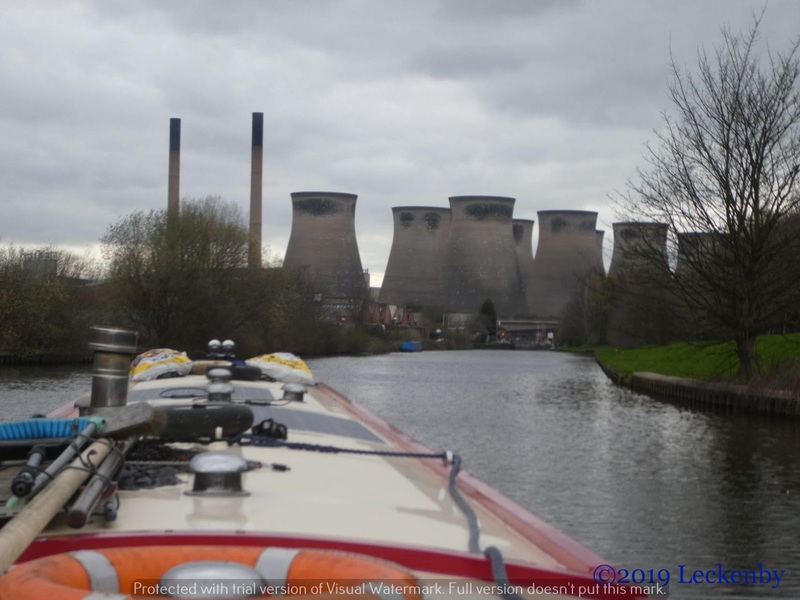 At the junction Oleanna swung round in the right direction and we headed back to Ferrybridge Lock. Maybe someone is trying to tell us we shouldn’t go to York! Tomorrow we’ll try again if Tom can get the lock to fill. Third time lucky. 0 locks, 1.95 miles, 3 visitors, 1 new friend, 10 sausage rolls, 2 hours of catching up, 1 empty wee tank, 2 winds, 0.07 miles reversed, 1 lock so not going to fill, 2 C&RT cavalry, 1 big spade needed. This entry was posted in Uncategorized on 24th Mar 2019 by pipandmick. Hi Brian. The key ring only has a Cart key and EA key on it. We have several spares should we ever leave it anywhere. 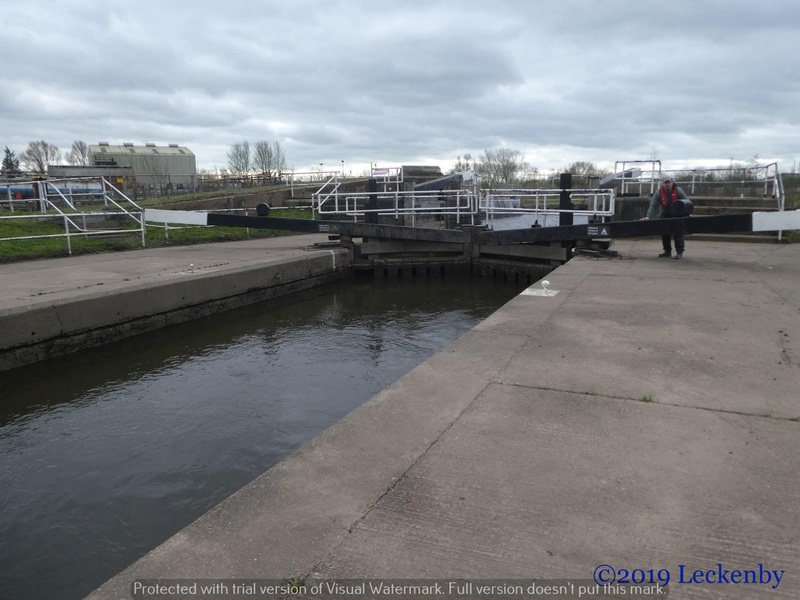 I don't think we have ever got through Bank Dole lock without a lot of hassle.Horrible Lock.The next one down at Beal is a nice place to stop though. There was, not sure if it is still open or not, a lovely pub in the village. We'd agree about Beal. We've had two meals at the King's Head in the past, both very nice. Not been into the Jenny Wren though, it's a bit further away from the river.